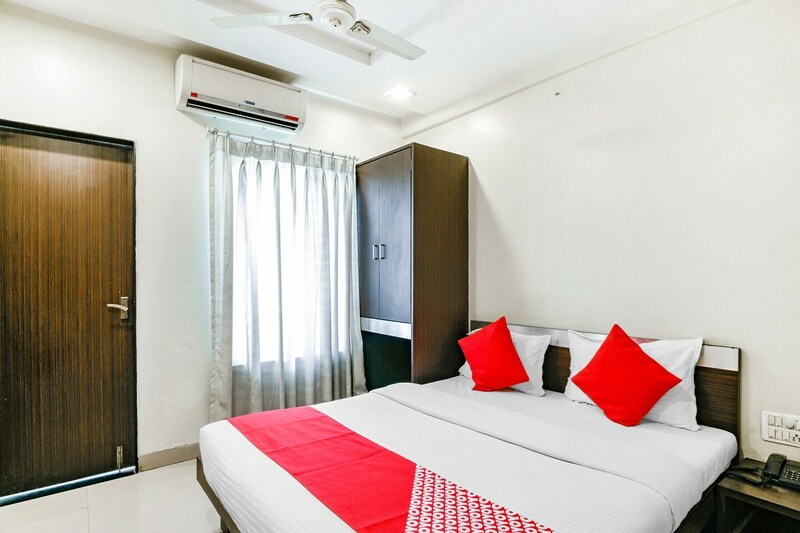 Hotel The Gentleman is a modern property with comfortable and bright rooms, and it is located in Toranagad Nagar, Ram Nagar, on Jalna Road in Aurangabad. The hotel is right opposite Dhoot Hospital and is close to Hanuman Mandir and Shiv Temple. The hotel has an aesthetic in-house restaurant and cosy rooms with bright white walls. The bathrooms are simple but clean. All rooms here feature free Wi-Fi, TV, and AC. Power backup and parking facility are offered too. The hotel is close to restaurants like Pizza Hut, Kareem's Kabab & Biryani, Smokin' Joe's, KFC and Naivedya.